Are you tired of listening to music on playlists and shuffle and would rather experience it the way it was intended? For free! Whilst drinking beer with mates, in a great bar? Ok then . .
Come along and celebrate St. Patrick’s Day with a classic album by one of Ireland’s most iconic bands – My Bloody Valentine. 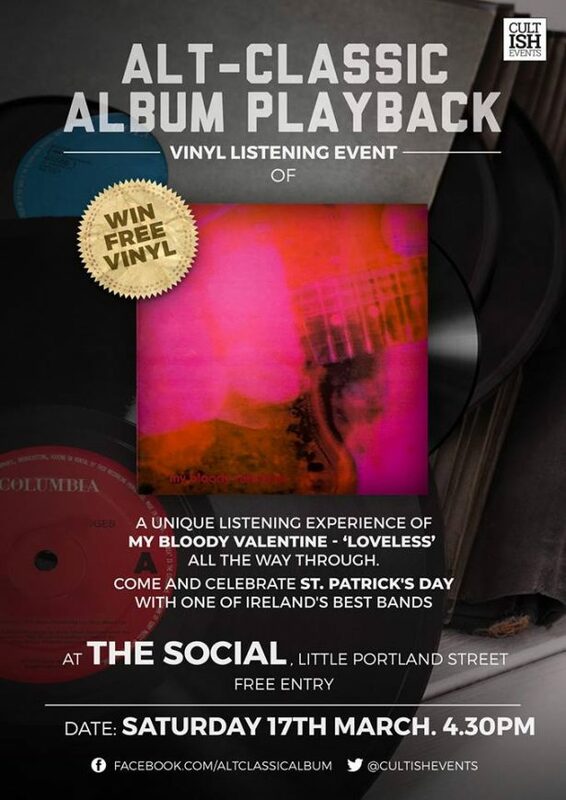 This unique vinyl listening event gives you the chance to hear the iconic shoegaze album ‘Loveless’ all the way through. Audience members will also have the opportunity to win free vinyl! As usual, the album playback will be preceded by a handful of songs by artists that inspired My Bloody Valentine.